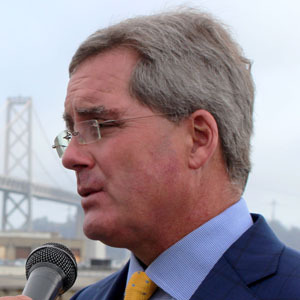 SAN FRANCISCO (Oct. 16, 2018) — City Attorney Dennis Herrera and the Office of Labor Standards Enforcement announced today that Hornblower Yachts, LLC and its affiliate, Alcatraz Cruises, LLC, have paid a total of $2.75 million to settle violations of two San Francisco health care laws after the companies unlawfully denied health insurance and adequate benefits to employees. An investigation by the Office of Labor Standards Enforcement found that the companies created complex policies to deny employees health benefits that they were entitled to under the Health Care Accountability Ordinance and the Health Care Security Ordinance. An enforcement action by the Office of Labor Standards Enforcement and the City Attorney’s Office produced the settlement without the need to file a lawsuit. A total of $926,167 will go to 421 employees. Another $1.3 million will go to San Francisco General Hospital to cover health care costs that the employers improperly shifted to taxpayers, and $500,000 will go to the City in penalties. Hornblower and Alcatraz paid the $2.75 million on Sept. 28, 2018. Under the City’s Health Care Security Ordinance, also known as the HCSO, employers operating in San Francisco are required to meet several obligations, including making required health care expenditures on behalf of all covered employees. A second law, the Health Care Accountability Ordinance, or HCAO, applies to most City contractors and tenants. Hornblower and Alcatraz are both tenants of the Port of San Francisco. HCAO requires employers to offer health plan benefits to their covered employees, to make payments to the City for use by the Department of Public Health, or, under limited circumstances, to make payments directly to their covered employees. Hornblower and Alcatraz Cruises created complicated eligibility policies to deny health benefits to their employees in violation of the health care ordinances. For example, they did not give any medical benefits to people they labeled as “seasonal employees” who worked 20 hours or more, even though they should have provided medical benefits within the workers’ second month of employment. The companies also failed to offer employees working 20 hours or more on City property a compliant health plan at no premium charge. Some workers were not offered medical insurance for years. When they were, they had to pay for their medical insurance, and the health plan did not meet the HCAO minimum standards. As a result, workers reported stress over their lack of health insurance. Many were forced to pay for their own. Some had to ask their parents for help to pay for insurance. Those that could not afford it faced IRS violations, adding further stress and financial hardship. Workers reported having diseases, illness and injuries while being employed without medical insurance. Since they weren’t insured, treatment was expensive, and they were highly concerned about medical costs. Employees reported being chronically ill because they didn’t have any medical coverage and couldn’t afford to see a doctor to get simple prescriptions or treatments, like antibiotics for an ear infection. Several employees reported feeling that they needed to work while sick in order to continue to pay their rent, childcare and other bills. Ultimately, this caused some employees to end up in San Francisco General Hospital’s Emergency Room. 2015 and the HCSO for the period from July 1, 2012 to June 30, 2015. Alcatraz failed to comply with the HCAO for the period from Jan. 1, 2011 to Sept. 30, 2015 and the HCSO for the period from July 1, 2012 to June 30, 2015. This is not the first time Alcatraz Cruises was found to have violated San Francisco’s health care requirements. A 2013 audit, which covered the period from April 1, 2010 through March 31, 2013, found Alcatraz failed to make $183,459 in health care expenditures for 107 workers. Alcatraz paid out these amounts on time and in full after the Office of Labor Standards Enforcement issued several Determinations of Violation in late 2013. More information about HCSO can be found here. More information about HCAO can be found here.